When Deanna Templeton was 14 years old, she ran away from home for one night. When she returned home the next morning after spending the night on a patch of grass, her mother said she would give her anything she wanted as long as she promised never to run away again. Templeton asked for a Canon T90, and she started taking photos, both escaping from and coping with the emotional turbulence of her adolescence by diligently documenting her surroundings. 30 years later, Deanna Templeton is still taking photos, and her work is noted for its quiet impact and gritty intimacy. She captures the world around her authentically, without judgment or pretense, finding tender and surprising moments of humanity. She and her husband, photographer and skateboarding legend Ed Templeton, can often be found walking around downtown Huntington Beach in the afternoon, taking photos of anything or anyone that catches their eye. “What She Said,” Templeton’s newest collection of photography, up now at DTLA’s Little Big Man Gallery, finds her returning to the tumultuous emotional terrain of teenage girlhood, delving deep into the trembling intensity of transitioning from girl to woman. Her collection pairs stark, spontaneous portraits of teenage girls from all over the world with potently intimate and impassioned excerpts from Templeton’s own teenage diary in the 1980’s. Her entries are angry, anguished, exuberant, uncertain, exhausted. Filled with bravery and disappointment, they are marked with alienation, peppered with exclamation points, and heavy with heartbreaking insecurity and self-loathing. They are scorching and raw, reminding us of the rollercoaster of highs and lows that we feel as we try to carve a place for ourselves in the world. They remind us of the double-sided fear and excitement that accompanies coming of age, the strange discovery of sexuality, the power it holds. 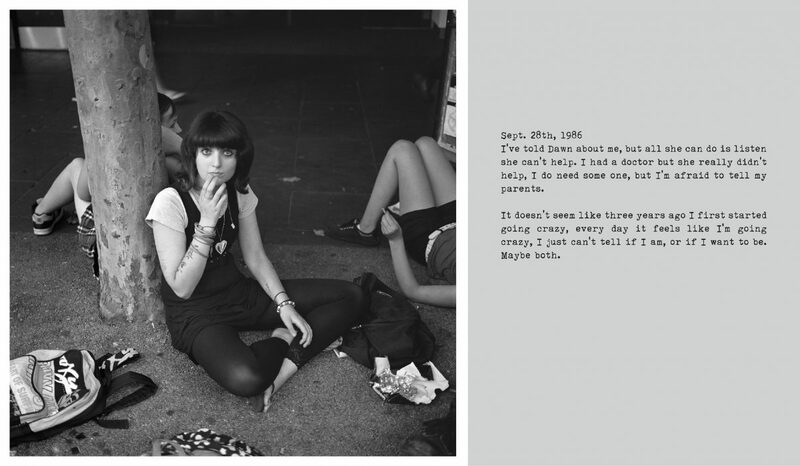 As an avid keeper of a diary for most of my teenage years, this project resonates deeply and tenderly with me: Templeton’s words and photos create a visceral and multi-faceted time capsule that is painfully relatable and bittersweet. We all felt the things she is describing, and we all felt certain we would never recover from these feelings. But we did. Templeton finds her teenage muses all over the world, from her home in Huntington Beach to her travels in Moscow and Rome – she is drawn to them because they remind her of who she was at that age, or of who she wanted to be. Her work transcends generational gaps, and touches upon themes that are timeless and ageless. 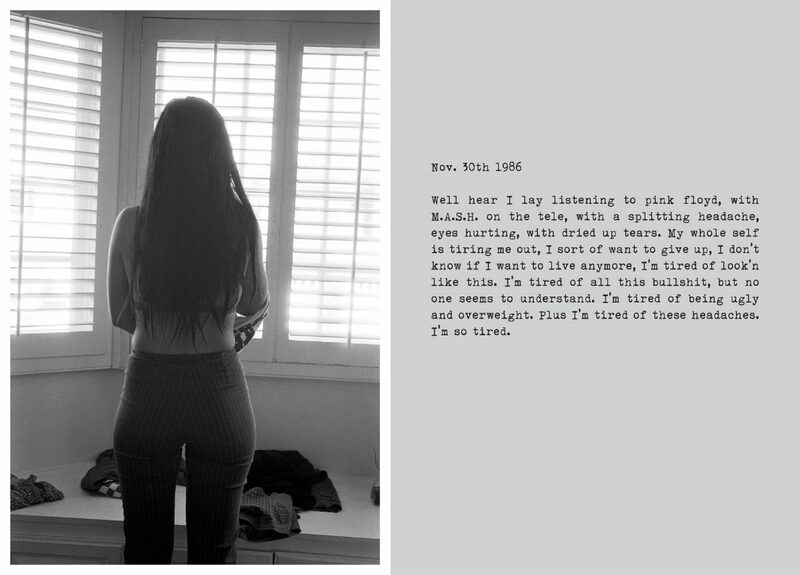 The inclusion of her diary entries adds a raw and often painful intimacy to the photos, and the photos themselves are taken with a sense of empathy and understanding. She does not shy away from her subjects’ awkwardness or self-consciousness, instead embracing the confusion of wanting desperately to fit in and stand out at the same time. The driving force behind her work is not just to look back fondly and tenderly at the universal intensity of being a teenager, but also to remind both teenagers and adults that it does get better, that you can survive the things you thought you couldn’t, that you might even look back at them and smile. We asked Deanna Templeton a few questions about the inspiration behind “What She Said,” and how she rediscovered herself by photographing teenage girls. 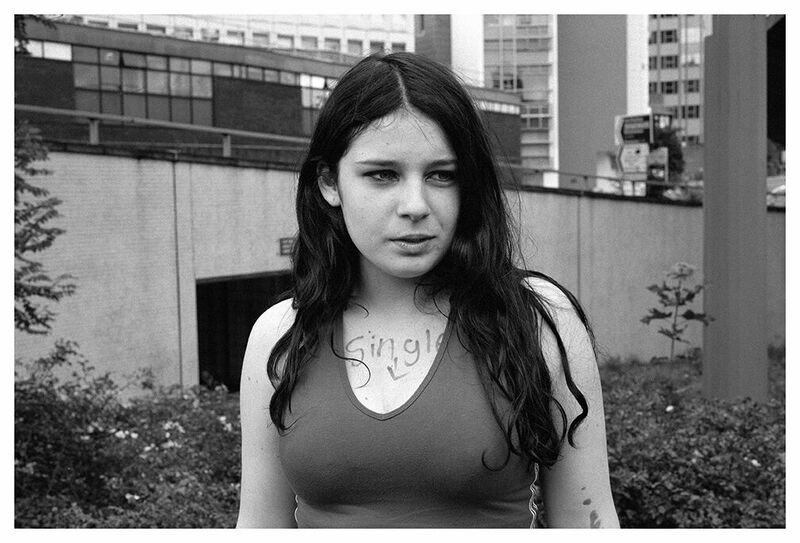 Deanna Templeton: The inspiration behind “What She Said” is the young women I photograph. I get so excited when I see a young person wearing a Crass patch or a Sonic Youth pin. LF: What inspired you to pair the photos with raw excerpts from your own teenage diary? Do you find peace or power in owning your thoughts and fears from that time period? DT: The first step in this project was photographing young women that caught my eye, that I felt some sort of kinship with. Then, after re-looking at my images, I saw the connection, why they caught my eye in the first place, and that was because they reminded me of myself when I was growing up or how I wished I could’ve been. I knew I wanted to show these portraits and a few have been shown in the past by themselves, but something seemed like it was missing. I have always been a fan of text with images and so I just thought: I have all my old diaries and journals, let me look through them and see if I can make a further connection. And I did, I found a way to speak more in-depth through my photographs. At first, it was a sense of making peace with my past, finally giving myself a break, a break I didn’t allow myself when I was younger. And yes, I do feel a sense of power within this project in that I survived my teenage years and I came out the other end with more confidence and more empathy. LF: Much of your photography focuses on women, and in particular teenage girls, a demographic that often doesn’t get taken seriously. What draws you to focus on them? What are your hopes for your work? DT: I think what draws me to shoot them is a way of rediscovering myself. With this project in particular, I hope that any young person who sees it and is going through difficult times – just hang in there, it will get better, and to give yourself a break. LF: This collection transcends generational gaps and touches upon something intimate and universal. What themes do you see in your work? DT: I see the coming of age, learning about our own sexuality, the power of our sexuality, awkwardness, insecurities and self-confidence. LF: Your willingness to use your own words in the project creates a multi-faceted reminder of the emotional turbulence of adolescence. What do the teenage years represent to you? What were your own teenage years like? DT: To me, the teenage years represent emotional instability. I was all over the place. It’s funny in today’s culture everyone wants to be young, or younger, and I’m not saying that I’m excited about my new gray hairs or wrinkles but I wouldn’t trade being 46 to be 16 again. The ‘80’s were hard enough to grow up in, I couldn’t even imagine being a teenage girl in 2016. LF: How did you first get into photography? DT: When I was 15, I had a friend who would shoot punk bands at Fender’s Ballroom in Long Beach, and then she would develop and print her photos at the high school darkroom. I went in one day, watched the process and saw the end result, the image, and I was hooked. LF: What is your creative process? DT: My process is to never leave home without a camera, to shoot, look over my images and then re-look over my images, let them sit a while. DT: I guess I’m pretty slow. I’m in no rush, I just want to take everything in and try to enjoy it. Deanna’s Templeton’s “What She Said” is up now at DTLA’s Little Big Man Gallery.